learn how to Increase productivity with quick, dependable and accurate translations of any documents, Video and Audio in over 160 languages. So, Where do I get my Document Translated or Letter Translated? 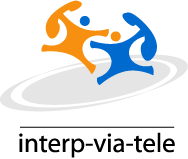 CALL 866-557-5336 For a Free Quote On Your Translation Project Now!! Submit the document or Web site Url you wish to have translated . Upon receipt of your Translation project we will contact you with a quote. Certified Translations are delivered to your door step via mail or delivered electronically. 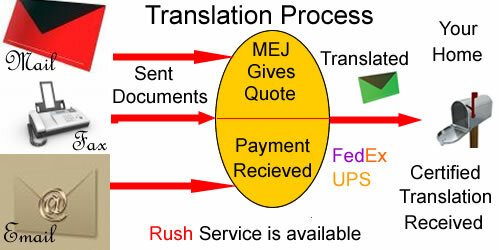 Express delivery and Rush Translations services are available. Free delivery for all Regular orders !!! Get started Now. Submit your project using any of the following methods listed below. MEJ is committed to providing translation services that are tailored to meet your needs. No project is considered to big or complicated; we will work with you to develop a translation solution to meet your personal or organizations needs for quality translation services. Mastercard, Visa, American Express and Paypal are accepted. Where to get your letter translated , document translated or Book Translated in over 140 Foreign Languages. Where do I Translate My Birth certificate . Marriage Certificate , Divorce Decree ,Employee Handbook, Manuals, Diploma,Transcripts,Adoption forms and Certification.